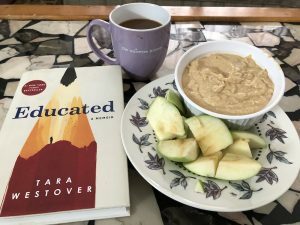 Full disclosure, I did not love Educated. I did not like Educated. In fact, I didn’t even finish Educated. I started it twice, once on audio and once in physical form, but didn’t get far either time. I just couldn’t get into it. I wanted to like it, I really did. But, this happens sometimes, even with a book that is supposed to be phenomenal. Yes, it was one of the “best” books of 2018. People find it amazing and life changing and all that jazz. And no, I’m not the only person I know who didn’t dig it. I posted the above photo on Instagram, lamenting over quitting the book for the second time. Commenters asked me if I read much of the genre. Not only do I read a lot of memoir, I also write memoir. I’m quite familiar with the genre. So I got this idea to recommend some others that I believe represent the genre much better. 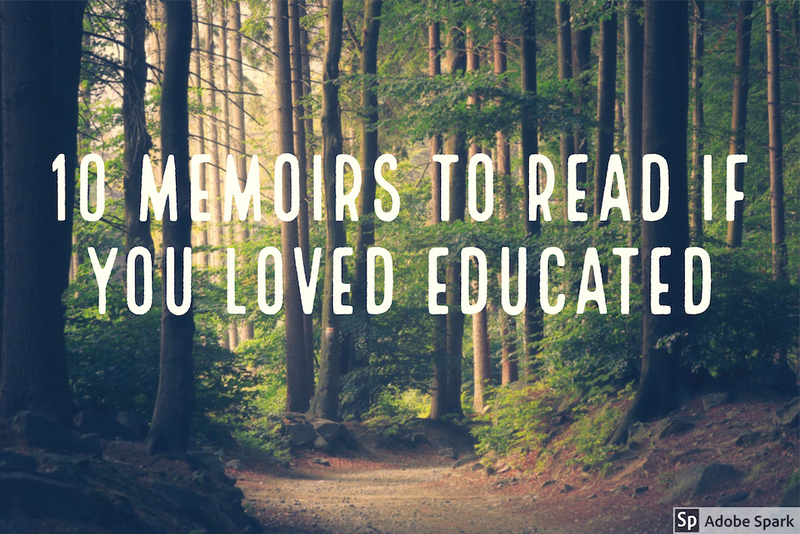 Regardless of whether you liked Educated or not, these powerful, compelling memoirs will draw you into lives you may never have imagined. Credited with kickstarting this new “golden age” of memoir, Karr is a master storyteller. Published in 1995, this is her first memoir. 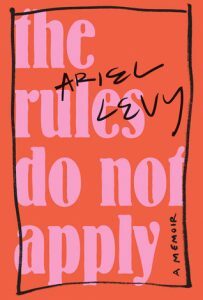 It chronicles her dysfunctional childhood with dark humor and vivid characters. 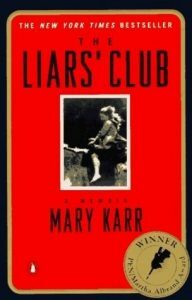 I also highly recommend Karr’s other two memoirs, Cherry (which is my favorite of the three) and Lit. Hands down one of the most powerful memoirs I’ve encountered that resonates with me deeply. Skyhorse chronicles his childhood with humor and raw honest reflection. 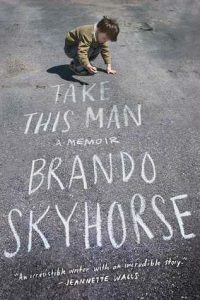 Growing up with five stepfathers and a mother who was delusional and selfish, Brando is constantly questioning who he is and bounces between love and resenting his mom, who seems determined to not allow him to have a genuine father. Part memoir, part cultural history, we get a fascinating look into a part of America many know little about. 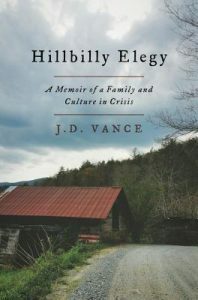 By looking back at his mother’s story, her parents’ stories, and beyond, Vance follows their journey to escape poverty yet struggle to maintain a middle class life in the Rust Belt.The themes of alcoholism, abuse, trauma, and poverty recur as Vance begins to understand how those family legacies continue with him. Told with dark humor, honesty, and vulnerability, this is an important look at the continuing struggle of many American families. 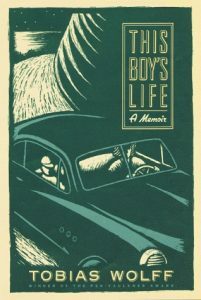 Toby is five when his parents divorce and he begins a life on the road with his mother. HIs brother lives with their father and his new wealthy wife. Toby changes his name to jack and takes refuge in his imagination as he and his mom wander the US following get-rich-quick-schemes, and fleeing her abusive partners. Wolff chronicles his childhood and adolescence with wit and honesty. It’s a vivid look into the determination it takes to escape a dysfunctional family legacy. Wolff’s brother Geoffrey is also a writer. His memoir of his life with his father is called The Duke of Deception. I haven’t read it but I’ve heard great things and have a copy of my shelf. Leaving for a work trip, Levy was married, pregnant, successful and financially secure. When she returned home one month later, none of that was true. Levvy’s story is heartbreaking yet inspiring. It’s gut-wrenchingly honest and raw, I felt like I was reading a long letter from a friend. I was moved as a reader, but also a writer. I’m inspired to continue pushing past the fear involved with sharing my own painful stories. I highly recommend this book for anyone who loves memoir, or simply enjoys an engaging, emotional story. 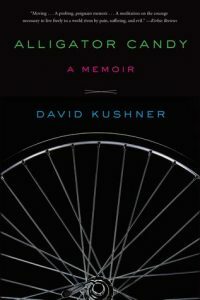 Kushner tells his family’s story, starting with the murder of his 11 year old brother in 1973, when he was only four. I like how he looks at his memories, along with his family’s, along with the facts of the case, all from different angles as he tries to piece together what he actually remembers versus what he knows because he’s been told. He also thoroughly looks at how the community helped his family through the tragedy, and explores how this is a common factor in healing after loss. Part true crime, part family history, part personal journey, this book packs a serious emotional punch. It’s graphic in parts, yet it’s absolutely necessary. The writing is raw, Kushner is completely transparent as we witness his mission to discover the truth of his brother’s death and struggle to parent his own children without fear. 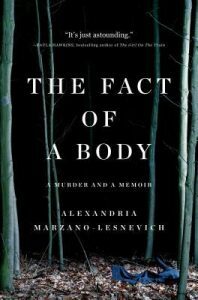 Part memoir, part true-crime story, this book is an extraordinary work of non-fiction. The writing is powerful and raw, the author inviting us along on her search for the truth. The way she pieces together Ricky’s story from trial transcripts and evidence is a marvel. Her use of language to explain how she got there is incredibly skilled. I’m not surprised it took her 10 years to write this book! She weaves the two stories (hers and Ricky’s) together seamlessly. Her admission of seeing her grandfather in Ricky is brave and gut wrenching, and it puts everything else in context. The material in this book is not light reading, it is disturbing and in some places graphic, yet it works because it’s a story (two stories) that needed to be told. At age 30, Lockwood finds herself (along with her husband) forced by circumstance to move back home with her parents to move back in with her parents. 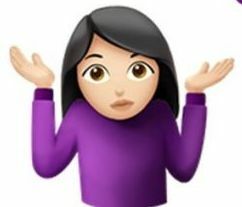 Her father underwent religious conversion and discovered a loophole which saw him approved for the Catholic priesthood despite the fact that he was already married and a parent. 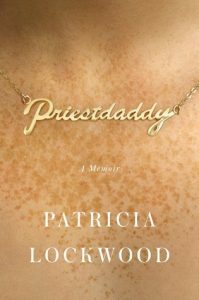 As Lockwood reflects on her family and upbringing in the church, her writing is hilarious and poetic. 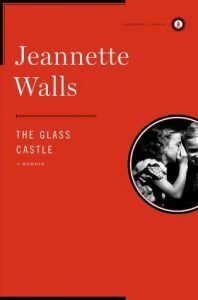 One of the most well known contemporary memoirs, the title refers to Walls’ father’s long held intention of building his dream house, which was a glass castle. Walls’ recounts the poverty-stricken childhood she and her siblings lived with humor and affection for their highly dysfunctional parents. 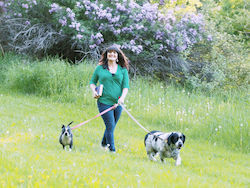 Once an adult away from her parents’ influence, Walls hid the truth of her upbringing for many years before finally telling the story and owning her family history. 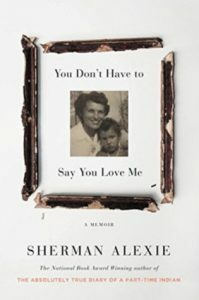 Told with a combination of poetry and prose, this memoir is the product of Alexie’s process of grieving the loss of his mother. At the same time, he is reflecting on her life and coming to terms with the fact that she was not a good person in life, and he can’t see her any other way after death. At times incomfortably honest, Alexie’s writing is, as always, deeply emotional and vivid. Have you read any of these memoirs? How would you compare them to Educated? What’s your opinion on the genre in general?